Property is one of the best investments you can go for, and we give Surrey residents some specific advice. From Help to Buy to shared ownership, we explore the various options home buyers may take to climb their way up the Surrey property ladder. This an extremely popular government scheme to help people climb the property ladder. According to Zoopla, in the last 12 months, the average house price in Surrey is £547,458. Essentially, you will purchase the home with a deposite, equity loan and mortgage. So, with this Help to Buy scheme, you will need a deposit of at least 5% and the government will provide an equity loan to top it up to 20%. So, with the average cost in Surrey, you’d need around £27,370 to purchase the property, as well as proof that you can keep up with the mortgage (more about that later). Another upside to this scheme is that the equity loan will be interest-free for the first five years. However, after this, you’ll be charged 1.75% per annum for the outstanding amount to pay off for the loan. Each year after this, the amount will rise by the retail prices index (RPI) plus 1%. For those who cannot afford the mortgage of an entire property, you also may consider a shared ownership where you will have a chance to buy a share, from 25% to 75%. You may use a shared ownership scheme with Help to Buy, in which you have your share and simply pay rent of the remaining share. You will also have a chance to buy the rest of the shares too. It’s important to note that the criteria are usually if you’re a first-time buyer, earning around £60,000 per year and usually council tenants are priotised. There are so many mortgage lenders to choose from and you may use comparison sites to help you in your decision. Many will offer mortgage deals to help people struggling to get up the property ladder in Surrey, London and in other hot property areas. The Surrey property market is very competitive though, so good property gets bought quickly. For this reason, once you’ve sorted out your finances, you will need to become an attractive buyer to the home you want to purchase. While you want to act fast enough that you will successful purchase a Surrey property, you must be cautious. A property valuation is not the same as a property survey. It’s essential that homebuyers get a RICS building survey so you know the extent of the property’s condition. You do not want to purchase a property and then discover it’s several defects and spend thousands on repairs. To avoid this, you’d want to hire a Surrey surveyor. Once you have the final report, you can then make an informed decision whether you want to purchase the Surrey property. It will also be beneficial to read our advice on how to negotiate a house price down after a survey. If you have any question, do not hesitate to contact us. 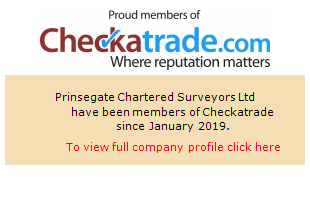 Our Surrey surveyors will be happy to assist you.